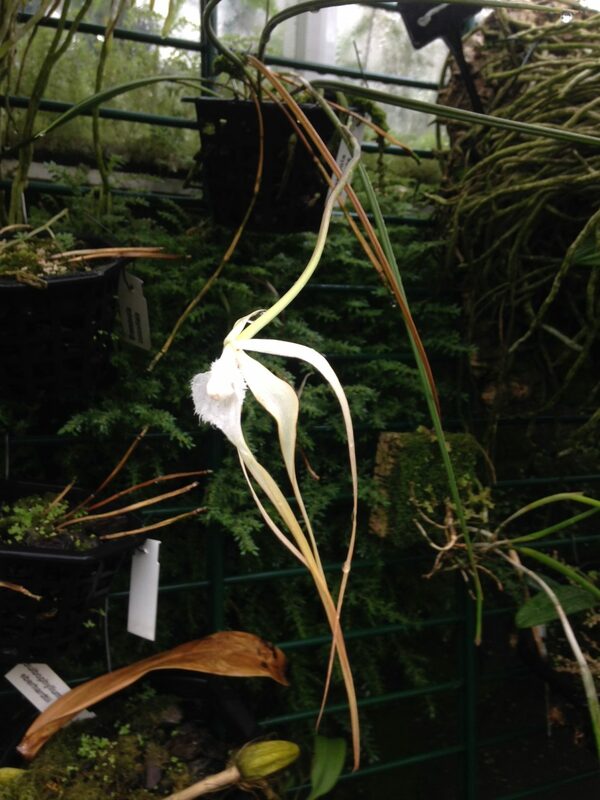 Another species that is enjoying our hot spell is Brassavola cuculata. This terete leaved species is found through Central America and northern South America. 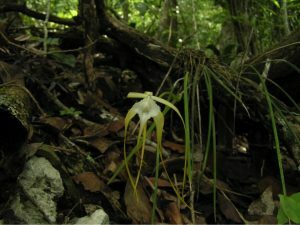 We have seen it growing and flowering in Guatemala where it was growing in dryish lowland forest near the ancient Mayan city of Yaxha. 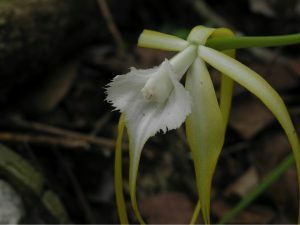 The plant below was flowering on the edge of a small cliff south of Laguna Yaxha attached to a fallen branch. 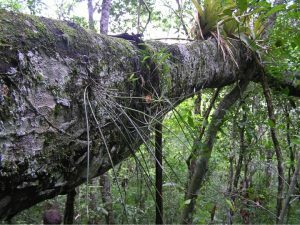 A nearby tree had been blown horizontal by hurricanes and so hung over the cliff with several seedlings of Brassavola cucullata growing along its trunk. We find that the species grows best mounted or in baskets of open bark in good light in our Warm Americas section. The species is night scented and pollinated by moths.